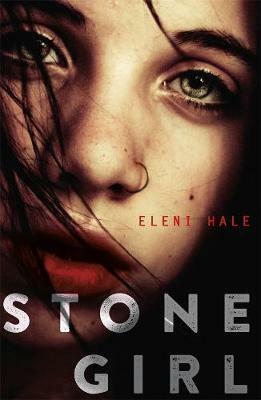 This month the teens were fortunate to have a visit from debut YA author, Eleni Hale, who spoke about her novel Stone Girl, published in May earlier this year. Stone Girl is the story of a young girl, Sophie, whose mother tragically dies when she is only thirteen. Sophie has no choice but to enter the foster system in Melbourne. We see her transform, due to her terrible experiences, from an innocent, conscientious student to a street-wise, delinquent drug addict, but her experiences are written with such perception and empathy that the reader feels completely invested in Sophie’s life and desperate for her to find a way out of her living hell. Eleni wrote this book knowing first-hand the horrors of the foster system, having lived it for a number of years as a teenager herself. She spoke about her stubborn determination to defeat the system and make something of herself. She always had a love of writing and when doing a writing course at Deakin University, she wrote an essay based on her experiences. Her supervisor suggested she had the beginnings of a book. It took her ten years and endless revisions to write that book, but she found herself an agent and Penguin books quickly snapped up her manuscript for publication. The teens were fascinated by the story and horrified by the injustices inherent in the foster care system in Australia, where teenagers are separated if they form friendships or relationships, constantly moved from house to house, and thrown out of the foster care system the moment they turn eighteen. Eleni told us that half the kids who leave foster care at 18 will end up in homeless shelters or on the streets. Only 1% of kids who go through foster care will end up going on to university or holding down a stable job. These are terrifying statistics and we all felt empowered to work on changing that system. We also had a great discussion about issues that the teens are concerned about, including bullying both within school and on social media, a lack of diverse representation in society, the environment and the impoverished state of Australian politics. It was a fascinating discussion that ran overtime and was highly engaging. The teens found Stone Girl rewarding reading and highly recommend it. You can read some of their thoughts below.